This topic contains 2 replies, has 3 voices, and was last updated by Lowboy 2 months, 1 week ago. 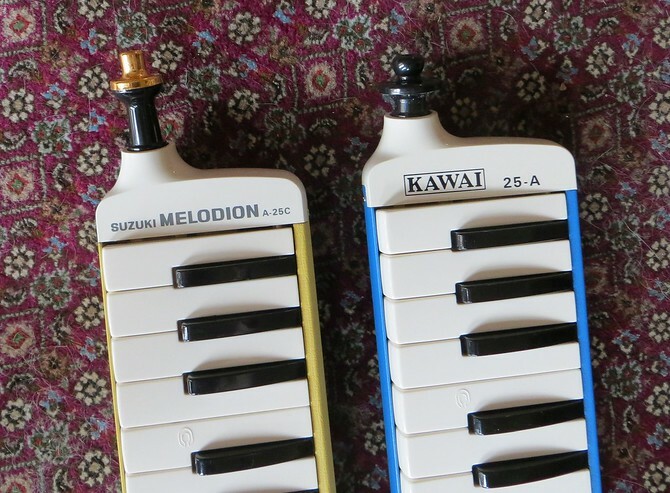 I have posted in detail about the Kawai release of this same melodica but recently was able to acquire an actual Suzuki A-25C Melodion and thought it would be worthwhile to create a separate thread. The original A-25 (“Study 25” 1968-72) and its successor (the “New Study 25” 1972-85) are both very good instruments and are not hard to find at reasonable prices. Much rarer is the 1985-87 A-25B; I have never been able to acquire or examine one. 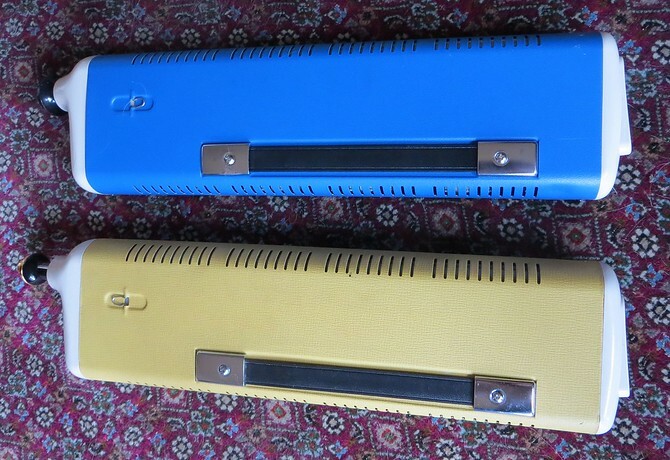 What makes the A-25C of special interest is that it is the closest in design and sound to today’s metal tray Suzuki Melodions. 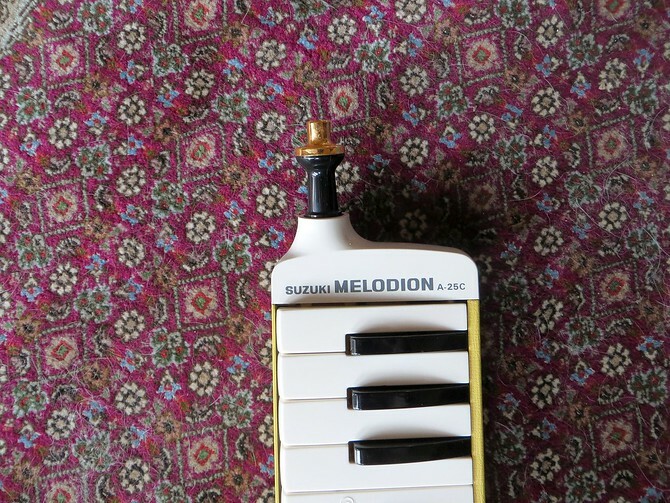 If you want the 25 key alto Melodion that corresponds to the M-32C, this would be it. I personally prefer the earlier New Study 25, which to my ear is a bit mellower and has more subtle tonal variations. 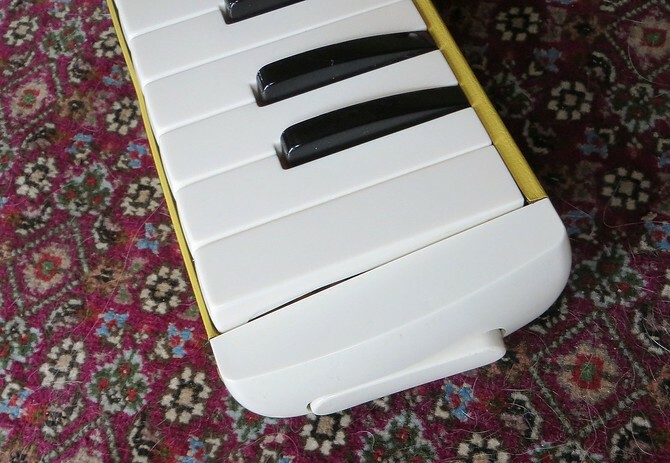 But the A-25C (aka Kawai 25A) is an excellent little melodica, solid, easy to play and with good key action. If you’re a fan as I am of the M-32C, it would be wise to grab an A-25C or Kawai 25A if you see one. The A-25C came in blue as well as in mustard yellow. They look great together Alan!